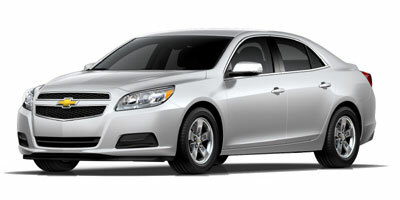 This 2013 Chevrolet Malibu LT is available today with our in store buy here pay here financing. Our Fort Wayne buy here pay here dealership contact info: Call us today at (260) 471-0567. We serve Fort Wayne, Columbia City, & Auburn, IN and all the surrounding areas. You can also visit us at,100 W. Coliseum Blvd. Fort Wayne IN, 46805 to check it out in person! Additional Options: Lt Crystal Red Premium Package / Includes (gbe) Crystal Red Tintcoat Exterior Color, (btv) Remote Vehicle Starter System, (apg) Driver Power Lumbar, (ag1) 8-way Power Driver Seat, (dd8) Auto-dimming Inside Rearview Mirror, (uvc) Rear Vision Camera, (ug1) Universal Home Remote, (ap9) Cargo Convenience Net, (b83) Body-color Bodyside Molding, (cf5) Power Sunroof, (ra9) P225/55r17, All-season Blackwall Tires And (r1u) 17" (43.2 Cm) 5-spoke Aluminum Wheels. Additional Options: Lt White Diamond Premium Package / Includes (gbn) White Diamond Tricoat Exterior Color, (btv) Remote Vehicle Starter System, (apg) Driver Power Lumbar, (ag1) 8-way Power Driver Seat, (dd8) Auto-dimming Inside Rearview Mirror, (uvc) Rear Vision Camera, (ug1) Universal Home Remote, (ap9) Cargo Convenience Net, (b83) Body-color Bodyside Molding, (cf5) Power Sunroof, (ra9) P225/55r17, All-season Blackwall Tires And (r1u) 17" (43.2 Cm) 5-spoke Aluminum Wheels.